Pamper your body with the exquisite extracts and aromas of Caudalie's Divine Collection, an ode to the heavenly look of sun-kissed, nourished skin. 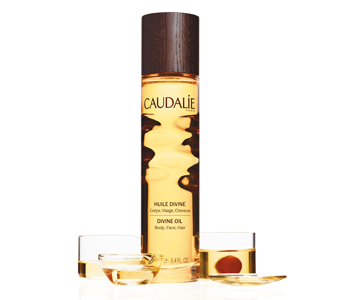 From the bestselling Caudalie Divine Oil to the newer Divine Legs tinted lotion, each formula is dedicated to the promotion of softness and luminosity. Each product is scented with the iconic Divine Oil aroma of grapefruit, pink pepper, rose, cedar, vanilla and soft white musk notes, a luxurious blend of solar and floral accords.